Need to escape Tokyo? Follow locals and expats alike to Nikko, a rejuvenating retreat just a couple hours from the Japanese capital. Choosing where to stay in Nikko is a cinch, so instead of tackling it as a rushed side trip from Tokyo as most travellers do, why not slow the pace & prepare for a little relaxation? Chock-loaded with ancient moss-covered temples & shrines, towering waterfall, crystal-clear lakes, and dramatic mountain scenery, Nikko fulfills every wayfarer’s dream of Japan at its most spiritual & natural. Whether you’ve got just 10 days in Japan or a month, there’s no excuse for skipping out on Nikko. This lovely area is undoubtedly one of best places to visit in Japan—even if it lacks the brand recognition of other top destinations like Tokyo, Kyoto, Osaka or even Nara. Unlike other popular Japanese travel spots, figuring out where to stay in Nikko isn’t much of a challenge. There’s relatively limited accommodations inventory here, although it can feel as if it’s a little spread out at times. 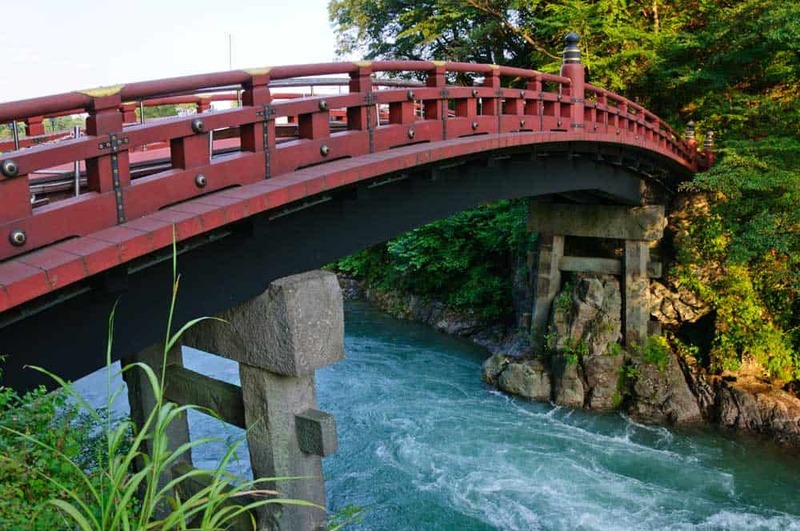 Where you choose to stay will depend on what exactly you’re looking to accomplish on your trip to Nikko. Whether you’re looking to hop between ancient temples, chill out in a relaxing onsen or hike through forested mountains among breathtaking natural scenes, there’s an area (or two) that’ll be perfect for your stay! With many of the top Nikko attractions within earshot, Nikko Town (for lack of a better term) is the most popular place to stay in the area. Although you’ll find the highest concentration of hotels around Nikko Station and the UNESCO World Heritage area, the selection isn’t what you’d necessarily call large, especially when compared to the biggest cities. For sightseeing, staying in Nikko Town can’t be beat. In laying your head down here, you’ll be face-to-face with many of the must-see temples & shrines, making it the perfect launching pad for the ultimate Nikko itinerary. 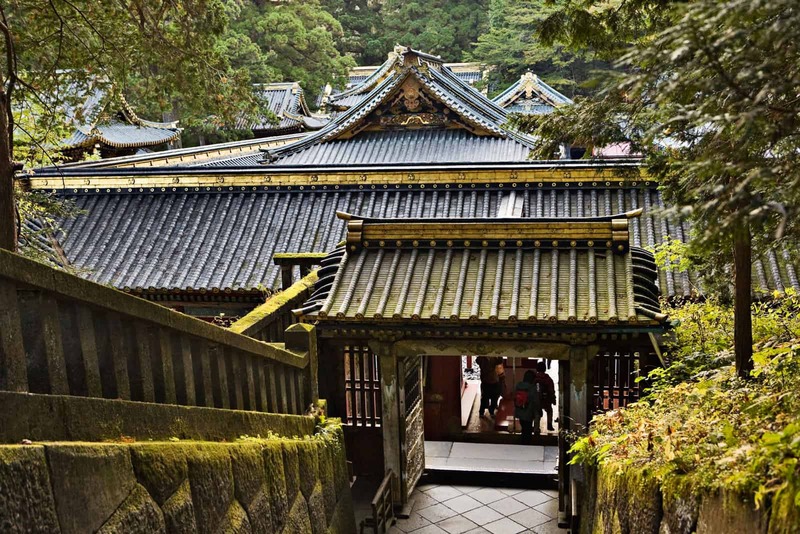 The popularity of Nikko’s UNESCO sites means that the accommodations pool here features a little of everything from budget hotels to luxurious retreats spelling out the classic Japanese hospitality experience. Sanga Nikko: One of the best places to stay on a tight budget in the Nikko area, this small guesthouse is located just steps from Tobu Nikko Station. Rooms are laid out in typical Japanese style with tatami floors, futons & shared bathrooms. Nikko Tokinoyuu: A lovely 3-star ryokan sitting on the doorstep of Shinkyo Bridge, the gateway to Nikko’s UNESCO World Heritage Sites. Classic Japanese style rooms are on offer with a separate sitting area featuring modern furnishings and extras like TVs. Both shared & private bathrooms are available. Nikko Hoshino Yado: Another mid-range ryokan that’s a pleasant 15-minute stroll to Nikko Toshogu Shrine. The property features its own on-site onsen, peering out upon a lovely Japanese garden, for a relaxing & memorable stay in Nikko. Nikko Kanaya Hotel: Another hotel knocking on Shinkyo Bridge’s door that’s popular with foreigners thanks to its Western-style accommodations. Rooms are more spacious than the Japanese standard and include private bathrooms. Okunoin Hotel Tokugawa: A luxury ryokan occupying a stunning location outside of the town centre amidst lush greenery. Rooms offer beautiful private terraces with breathtaking views to the hotel’s Japanese garden. Upgrade to one of the higher-end rooms for a relaxing open-air bath. If you’re all templed-out and are simply looking to relax, the next choice of where to stay in Nikko might be just what you need. Chuzenjiko Onsen, located about 20 kilometres from the main town centre, flexes its beauty by delivering some of the most magnificent scenery in the area. 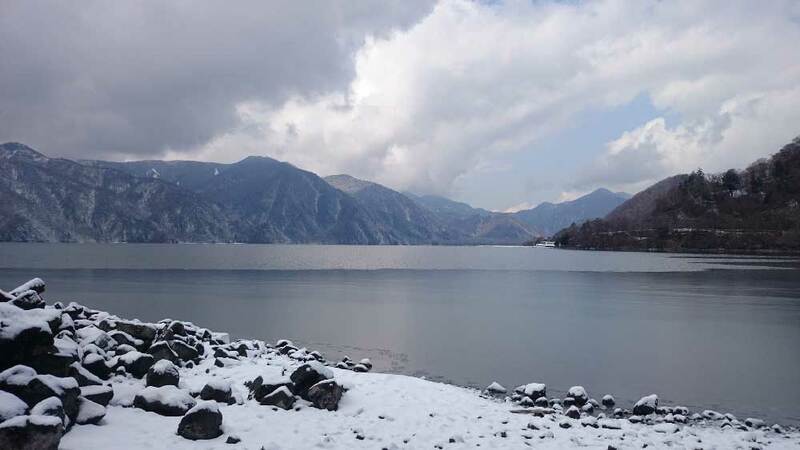 The onsen’s namesake, Lake Chuzenji (Chuzenjiko), is a spectacular sight especially when contrasted to the mighty Mount Nantai rising up from its shores. In choosing to stay in Chuzenjiko, you’ll have a chance to swing around the lake’s shores at a leisurely pace along a 25-kilometre circuit that provides gorgeous views from every angle. Lake Chuzenji boat cruises are also a tremendously popular way to enjoy the area’s scenery. This is also a popular area for travellers wanting to experience Nikko’s incredible waterfalls, a few of which lie close to the Lake Chuzenji’s shores. Visit in autumn for extra colourful views that are among the finest in Japan. As would be expected from the town’s minuscule stature, there isn’t a huge selection of choices for where to stay in Chuzenjiko Onsen. Most of what you’ll find in the area occupies the mid-range and above. Little Forest Inn Nikko: The best budget accommodations in the Chuzenji area, this small guesthouse offers amazing views of the lake and Mount Nantai from the property. Rooms are Western-style with private bathrooms. Hatago Nagomi: A newly-renovated 3-star hotel with a prime location across the street from Lake Chuzenji. Rooms are spacious, clean & modern, and set up with Western- rather than Japanese-style accommodations including private bathrooms. The on-site natural hot-spring bath is a huge bonus. Chuzenji Kanaya Hotel: Like its namesake in town, this delightful mid-range hotel features Western-style rooms in a serene location close to hiking trails & waterfalls. The on-site onsen and fireplace lounge make an excellent case for an evening in. Hotel Shikisai: A luxury ryokan hotel in a quiet location amidst dense forests & magnificent scenery. Japanese-style tatami mat & futon accommodations with private spa tubs are offered. When you’re truly looking to escape the crowds in Nikko, head up to Yumoto Onsen, a small hot-springs town located north of Lake Chuzenji on the shores of Lake Yunoko. Yumoto Onsen is as serious an escape from the stresses of travelling in Japan as they come. Besides relaxing in the comfort of an onsen ryokan or hotel, there’s some truly spectacular scenery around here including Yudaki Waterfall and the Senjogahara Plateau Nature Trail. Given the town’s size, there isn’t much selection in terms of accommodations in Yumoto Onsen. Most of what’s available falls into the mid-range. Manzo Ryokan: The best place to stay for those on tighter budget, this ryokan features Japanese-style rooms with shared bathrooms. Plenty of walking trails nearby make this a great choice for hikers. Okunikko Park Lodge Miyama: A mid-range budget hotel delivering spectacular mountain views and featuring both Western- and Japanese-style rooms with private bathrooms. Yumoto Ski Resort is just six minutes away by foot. Shiunso Ryokan: A comfortable mid-range ryokan pulling out all the stops for a memorable stay. Reservations here include a superb breakfast & dinner as well as access to a steaming private hot-springs bath. Yumoto Itaya: A lovely ryokan hotel that’s a step above others in the area. Both the Japanese and Western rooms here are sophisticated & refined while offering spectacular mountain views. Next to Nikko itself, one of the most popular places for travellers is Kinugawa Onsen. This onsen town was once the darling of the area, seeing a tremendous building boom in the 1970s that brought a handful of large ryokan & hotels to the banks of its namesake river. Although it fell out of style in the 1990s thanks to the tech bubble burst, Kinugawa Onsen appears to be gaining some steam again with Japanese visitors as rising air ticketing costs keep them a little closer to home. Besides its hot-springs baths, Kinugawa Onsen features a few kitschy theme parks & amusements like Nikko Edomura and Tobu World Square that the whole family will enjoy. With Kinugawa Onsen experiencing a revival of sorts, the prices among the top places to stay seem to be rising. High quality budget accommodations & hotels are difficult to find here, but the mid-range and luxury segments are well represented. Sudomari Hotel Roman Tsutsuji: One of the best budget picks in Kinugawa Onsen, this guesthouse certainly stands out more for its excellent service & value than its looks. The Japanese-style rooms are clean & spacious and are fitted with private bathrooms, a rarity at this price point. Hotel Shirakawa Yunokura: A mid-range ryokan surrounded by lush greenery in a quiet part of town. Rooms exude a modern Japanese sophistication and include private bathrooms. The views from the relaxing on-site onsen are spectacular. Tsuganoki: A 3-star ryokan chock-loaded with character. The Japanese-style rooms are affixed with both modern & traditional touches for a look all unto its own. Upgrade to one of the deluxe rooms where you can unwind on your balcony in a private open-air bath to jaw-dropping mountain views. Kanaya Hotel Kinugawa: The top luxury pick in Kinugawa Onsen, this world-class onsen hotel features spacious Japanese-style rooms with river and mountain views from your own private balcony. All reservations include breakfast & dinner. Be sure to sample the delightful French-Japanese fusion of chef John Kanagawa at the on-site restaurant Dining John Kanaya.